Upper Arlington, located just 10 minutes west of downtown Columbus, is a family friendly neighborhood with plenty of fun to keep you entertained. There is no shortage of shopping in Upper Arlington. The Shops on Lane Avenue are a great option to shop at the larger stores. If you prefer to go the local route, be sure to visit Leál Boutique in the Mallway at Old Arlington. Leál is the perfect place to find something for that special occasion or just to treat yourself. The staff at the store is beyond helpful and full of wardrobe ideas. Staying in the Mallway neighborhood, check out South of Lane for breakfast or lunch. I have not tried it yet, but word on the street is the BP2 (peanut butter/bacon waffle sandwich) is amazing. If you need another treat or pick me up, stop by Purple Sage Bakery for one of their decadent pastries or a cup of coffee. Back up on Lane Avenue, Crimson Cup is another neighborhood gathering place. 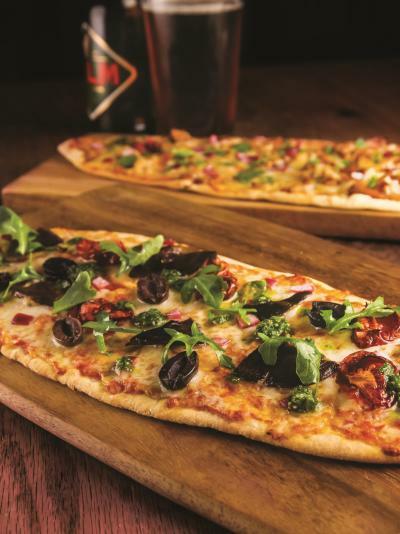 Looking for some more substantial food? Try Rusty Bucket Restaurant & Tavern for classic American fare prepared fresh daily. 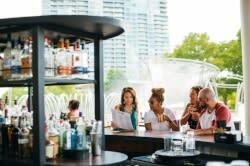 Hudson 29 is another great option brought to you by local restaurateur Cameron Mitchell Restaurants. Their menu features fare that is inspired by both the Hudson River Valley and Napa Valley. Located on Old Henderson Road, Akai Hana, is a can’t miss Japanese restaurant specializing in sushi and other traditional Japanese favorites. This is truly a dining experience so be sure to take friends with you. 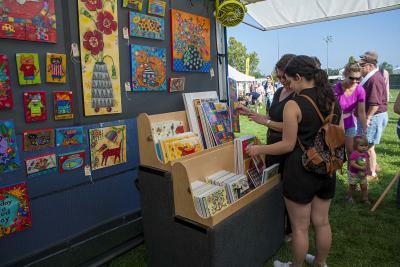 Mark your calendar now for the Upper Arlington Labor Day Arts Festival on September 3. Located in Northam Park, the festival draws over 25,000 people each year a with works from local, regional and national artists. Not to mention entertainment, arts and crafts activities for kids and food trucks. Looking for more? Check out the Visiting UA section of the Upper Arlington website.